Roberta Jamieson says she was fortunate to grow up amongst and be taught by her own people in the tight-knit community of Six Nations of the Grand River Territory. Roberta’s family ran a local diner, and at lunchtime, Roberta would leave school to wait tables. The experience gave her exposure to the diversity in her community, and to the injustices it was subject to. At 17, Roberta experienced another shift in awareness when she began attending McGill University in Montreal during a tumultuous time. “It was the time of the [Pierre] Laporte kidnapping. It was the time of tanks rolling into Montreal. And it was a time when there was a decision by the then-Bourassa government in Quebec to flood out the traditional territory of the James Bay Cree and build a hydroelectric dam,” she recounts. Many students—including Roberta—gathered around support for the James Bay Cree. They watched as Cree elders, for the first time, gave evidence in court. “I saw the power of not only our own people, but of institutions like the courts in changing the mind of the government, and of Canadians,” says Roberta. Witnessing the courts in action—and deciding that her people needed to have legal skills in their toolkit—spurred Roberta to go to law school. Though going through law school in the early 70s proved challenging (“This was a time when there was very little patience for talking about the rights of my people,” Roberta notes), she became the first First Nations woman in Canada to graduate from law school. One of the Indigenous perspectives Roberta brought to the legal field in the 1980s was an openness to alternative dispute resolution methods, including mediation. Roberta would go on to spend much of her career mediating discussions between governments and First Nations, trying to come up with solutions that would respect the rights of self-government, policing in First Nations territory, and child welfare, to name but a few of the areas she touched. “I’ve spent a lot of my years trying to build bridges with Canadians, so that they can understand more about Indigenous people and our shared history,” she says. As Ombudsman for the Province of Ontario, Roberta spent a decade resolving conflicts between members of the public and government. Yet there were issues in her own community that needed attention. After nine of 12 sitting councilors plus the chief were voted out, Roberta was elected. As chief, she and her community set about a very ambitious agenda, including creating a more inclusive system of decision making, separating politics from administration, and of course, creating a conflict resolution mechanism. During this time, Roberta began to shift her focus toward education. Now, 14 years later, Roberta is still enjoying her “new role” as President and CEO of Indspire: a national registered charity that invests in the education of Indigenous people for the long-term benefit of these individuals, their families and communities, and Canada. Roberta, who is also Executive Producer of the Indspire Awards, says the role is an enriching one. In her 14 years with Indspire, Roberta says, they’ve been able to raise and distribute almost $100 million through more than 32,000 bursaries. Ninety per cent of the students Indspire supports graduate. Organizations like BCIT also play a role, Roberta says, citing the Institute’s mentorship programs, elders in residence, and curriculum as meaningful supports for students. 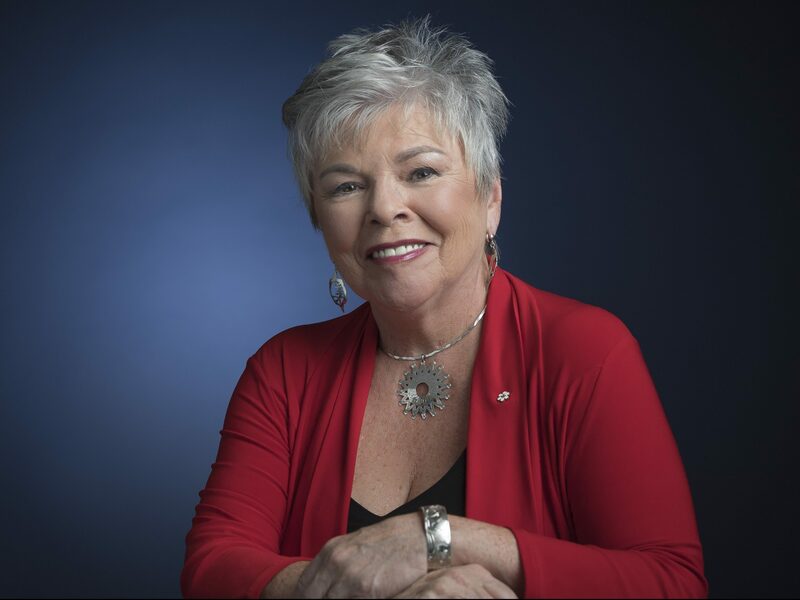 Roberta Jamieson will be recognized as the recipient of a 2019 BCIT Honorary Doctorate at the Distinguished Awards gala on October 22, 2018 and receive her doctorate at the Institute’s June 2019 Convocation ceremony.